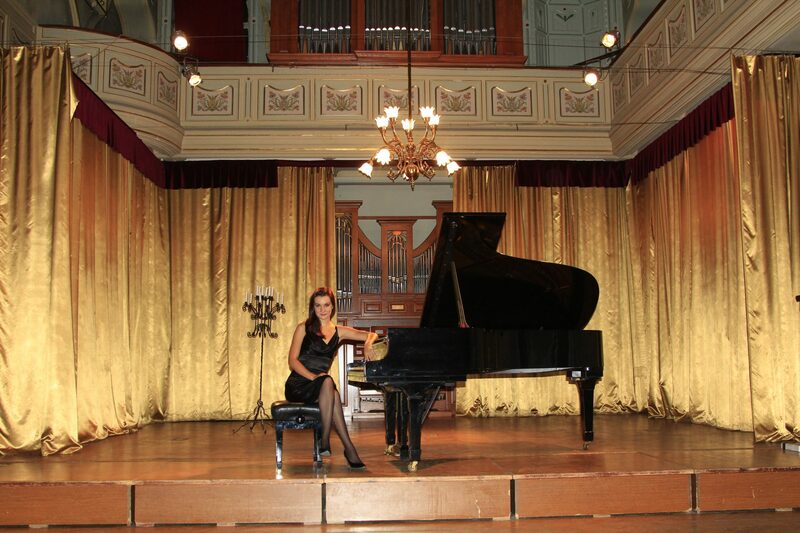 Hungarian pianist Tünde-Ilona Krasznai studied piano performance and music therapy at UCLA as a Fulbright scholar. During her Masters studies she has collaborated with the UCLA Departments of Neuroscience and Psychology, in addition to working in senior-citizen living facilities, schools, and institutions for the blind throughout greater Los Angeles. Within neuroscience Tünde-Ilona focused on Alzheimer, dementia, Parkinson’s Disease, addictions including alcohol and drugs, bipolar disorder, and other neurological disorders. Within psychology she worked with chronic depression, autism, sleep disorders, anxiety disorders, abuse, both sexual and child abuse. Ms. Krasznai Tünde participated in a special program for veterans and active soldiers, a collaboration between the U.S. military, the UCLA Medical School, and the Department of Art dealing with PTSD (Post-Traumatic Stress Disorder) and treatment for patients with severe injuries including brain trauma. Tünde-Ilona Krasznai is a Music Therapist, and award winning Piano Performer and a Piano Teacher with international experience. She leads her Music Educational Institute in Fairfield, CT, The Prodigy Piano and Art School where she offers piano teaching services along with music therapy for children and adults in all ages and levels including professionals and beginners as well. Both, group and individual lessons are available. The Music School welcomes children with special needs and senior students as well.